Sagar Institute of Pharmacy & Technology (SIPTec) is a premier institution known for its high standards in teaching and research in Pharmaceutical Sciences. 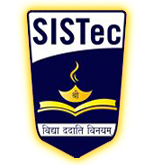 SIPTec was established in 2008. It is approved by All India Council of Technical Education (AICTE), duly affiliated to RGPV Bhopal & PCI approved institute. The department offers Bachelor in Pharmacy four years degree course & is likely to start new PG Programs in pharmaceutics, and pharmaceutical chemistry. Sagar Institute of Pharmacy Technology SIPTec, Bhopal offers various graduate courses as well as Post Graduate courses. Sagar Institute of Pharmacy Technology SIPTec, Bhopal is affiliated to Rajiv Gandhi Proudyogiki Vishwavidyalaya (RGPV), Bhopal. List of facilities available at Sagar Institute of Pharmacy Technology SIPTec, Bhopal for students.